Experience the best of football on PS4 with EA SPORTS FIFA 19, UEFA Champions League highlights on the PS FC App and the latest football competitions. The world’s most popular football video game starts a new season on PlayStation 4, bringing all the players, teams and atmosphere of the sport straight into your home. Get your football fix with daily video content, highlights, player interviews, documentaries and classic matches from the archives. As one of the official partners of the UEFA Champions League, be sure to look out for exclusive competitions and content to bring you closer to all of the action. 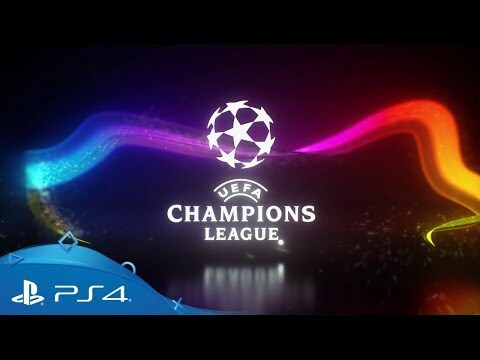 Win exclusive prizes and tickets to watch your favourite team in action in the UEFA Champions League by signing up to PlayStation F.C. Discover quality video content from some of the biggest names in football, with this handy and free app. Showcase your skills online – with PlayStation Plus you can tackle the world in FIFA 19, playing in a variety of online multiplayer matches to keep you on your toes. Learn how to score the best and most spectacular goals from the UEFA Champions League, on EA Sports FIFA 19. Make sure you’re kitted out for victory with this special DUALSHOCK 4 wireless controller – featuring a penalty area design on the touch pad, a bespoke tactics pattern, and the official PS FC badge, all in the team’s home colours. Assemble your dream team from the superstars of Europe’s biggest club competition, with a €100m budget.